The New York City Ballet boasts a roster of more than 90 elite dancers and a repertory of works from some of the world’s greatest choreographers. 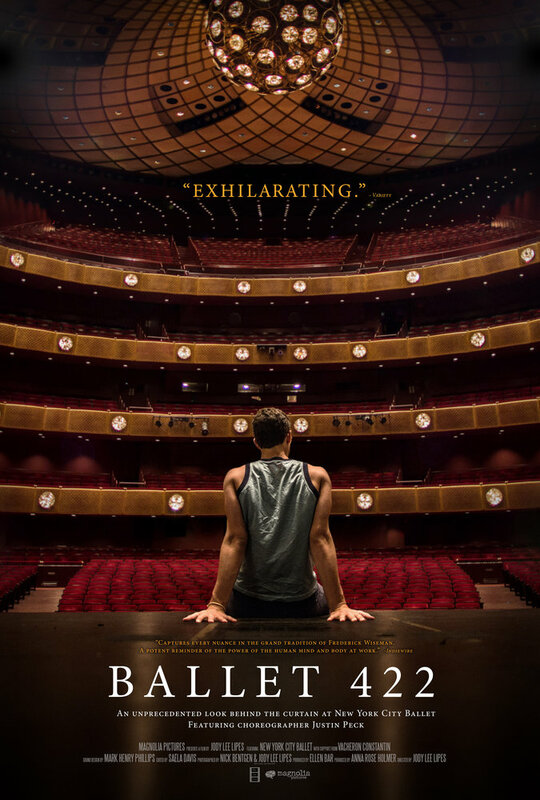 The documentary “Ballet 422” offers an outsiders glimpse into the exclusive world of dance, and Indiewire has an exclusive of our own: the film’s new poster. “Ballet 422” premiered at the Tribeca Film Festival earlier this year and was soon after acquired by Magnolia Pictures. The story follows 25-year-old NYCB dancer Justin Peck, who begins to emerge as a promising young choreographer. When he is commissioned to create a new ballet for the Company’s 2013 Winter Season, the film follows him as he collaborates with musicians, lighting designers, costume designers and his fellow dancers to create “Paz de la Jolla,” NYCB’s 422nd new ballet.